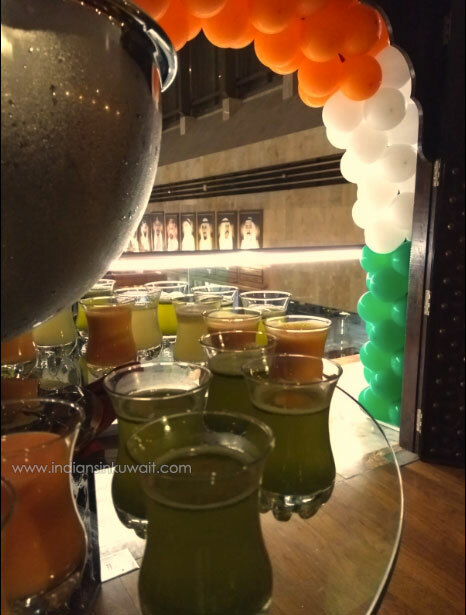 The colours—orange, white and green appeal to us Indians so much more in the month of August, which is filled with the spirit of freedom and a spirit of Indianness that seems to reverberate all around. 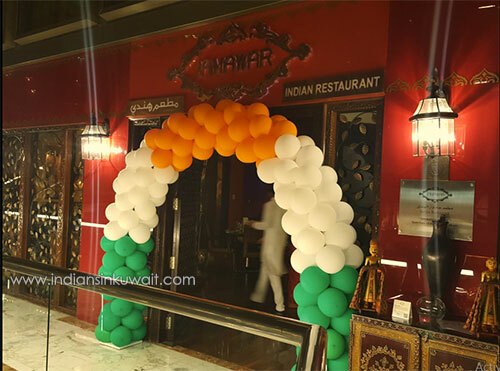 As one entered the lobby at the Holiday Inn (Al Thuraya City) on 15th August, the balloons at the entrance of the Jamawar restaurant in the three colours that represent the tricolour, welcomed the visitors with a sense of fiesta and fervour. On stepping inside, the smiles, the greetings and the décor all seemed to be seeped in the true Indian zeal. 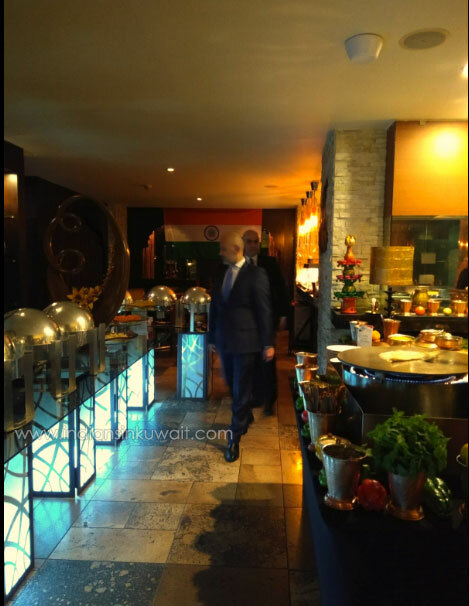 The colours of India were everywhere---in the ribbons, on the attire of the staff, on the table, in the spices that beautifully adorned the tables and in the array of delectable spread at the buffet tables. 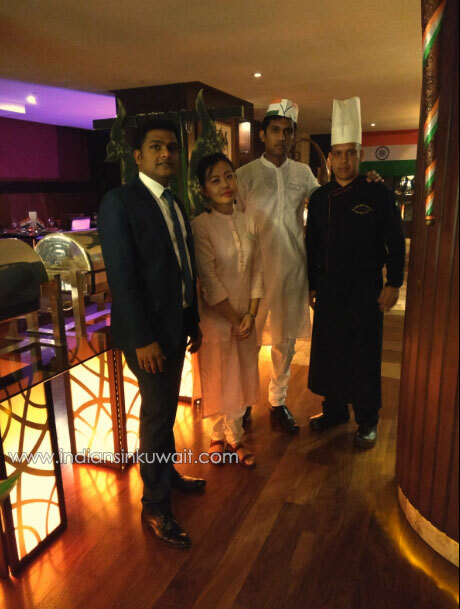 Beginning on Wednesday, the 15th of August, the Jamawar restaurant celebrated the fervour of Independence by organizing a three day culinary fare, mirroring the variety that India symbolises. 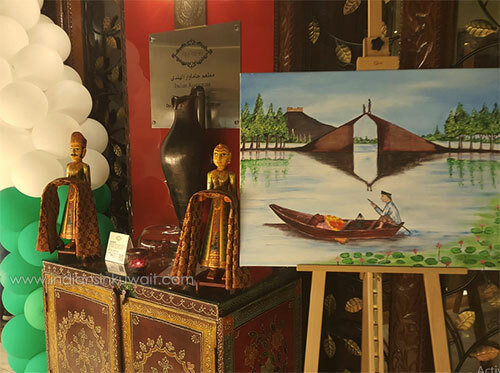 The specially organized culinary fare concluded with the brunch on Friday, the 17th of August. 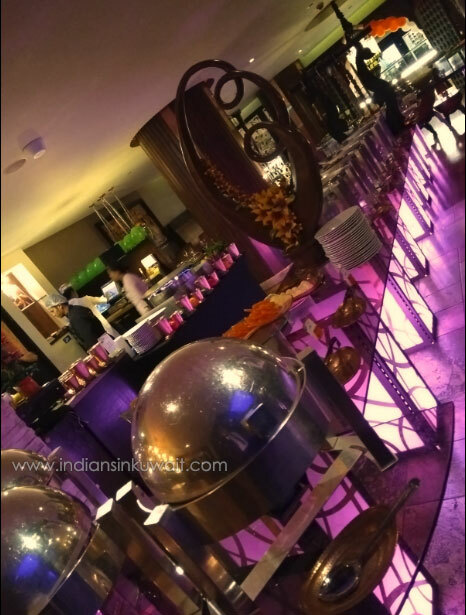 The buffet offered a wide variety of dishes from all regions of India. 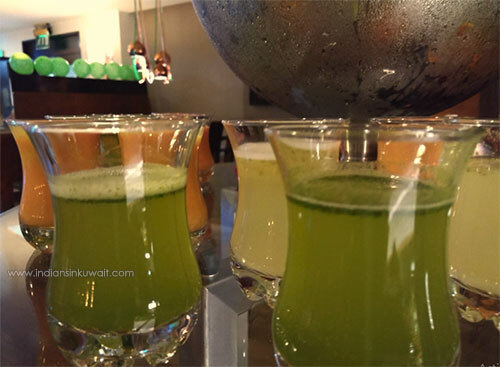 An assortment of welcome drinks, including sweet lassi, fresh orange and ginger juice, graced the beautiful table at the entrance. 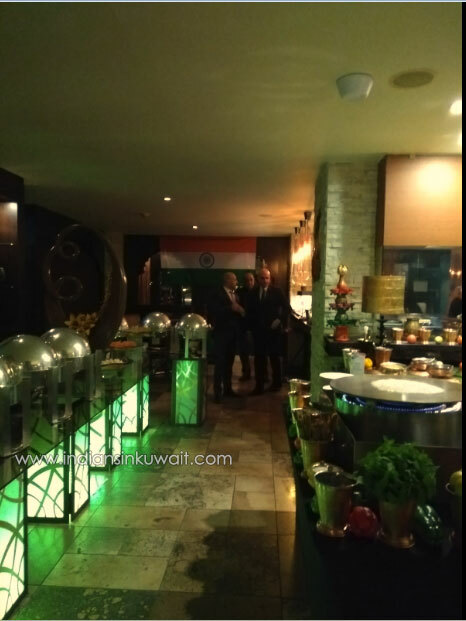 It felt nice to see the patrons from Kuwait and other Arabic nations walk in the restaurant, in large numbers… marvel at the décor… smile at the delicious spread… and enthusiastically sit down at the tables to enjoy every bite of what was there to be savoured. There was an unbelievable variety of the most lip-smacking pickles kept in the small buckets that invited every customer to try at least a few. On both sides, there were about half a dozen varieties of salads—suited to the Indian and the Mediterranean taste-buds. 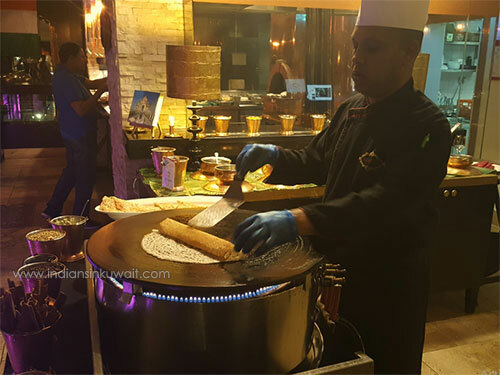 The theme of the main course was largely Mughlai, though there were other much coveted delicacies too such as the Mutton Kolhapuri and the Fish Curry from the coastal areas, along with an assortment of Tandoori Kebabs, Lamb Biryani, and Murgh Mughlai. 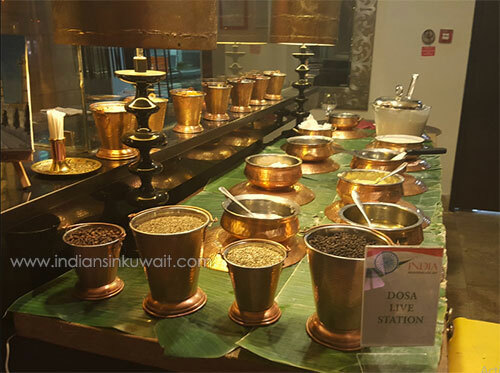 For the vegetarians, though the choice was limited to Dal Makhani, Mutter Pulao and Mix Veg, the live counter of Dosa made up for the lack of variety. On the first day, it was the live Chaat counter that held the customers captive and asking for more. The sweet course at the end of the meal was as multifarious as is expected when one sits down to celebrate India. 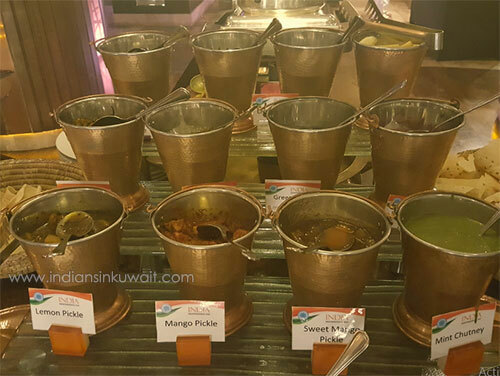 All of the items—the rasgullas, the ras-malai, which lay alongside the jalebis and the gulab-jamuns and together with the moong-dal halwa and the gajar halwa—made the entire line-up simply irresistible. The staff, steered by Mr Sandeep—the Restaurant Manager, and assisted by the Chef, were all full of smiles and courtesies. Their service was synonymous with efficiency and hospitality—the standards of which are so very essential to maintain not only because we are in a foreign land but also because we carry with ourselves our Indian identity. India is making rapid strides in many sectors and areas… but we need to do much more than what we are doing and what we have done. 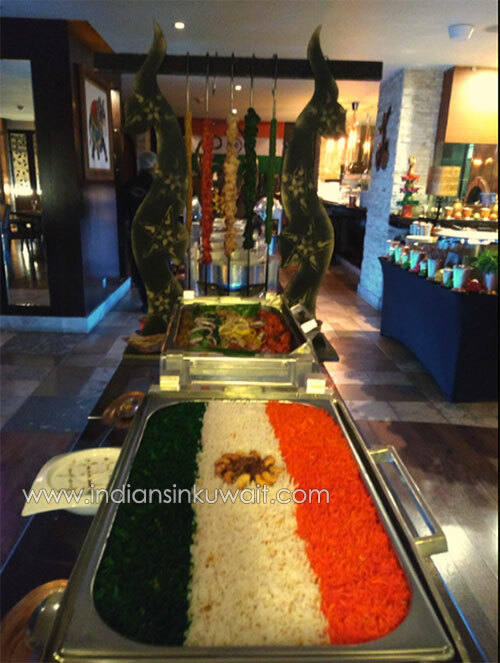 One of the most important weapons that we possess to increase our soft power and make rapid inroads into the hearts and minds of people worldwide—is our full-flavoured and tasty melange in our cuisine… Jamawar restaurant did a bit of that, as we—the Indian community in Kuwait celebrated India’s freedom; her identity and her birth as a nation in this world.